UNHINGED . TRIVIAL PURSUIT . FAST DISPATCH . BOXED AND COMPLETE WITH MANUAL. IN VERY GOOD USED CONDITION. THE DISC HAS BEEN TESTED AND IS IN GOOD WORKING ORDER. UK Pal Official UK Original Release. Sony Catalogue ULES 00646EAN. Condition Notes : As seen in the pictures we have provided a few pictures and will let you judge for yourself the condition of the item our opinion is listed below. NEW SEALED. Trivial Pursuit Unhinged. It's the legendary favorite with exciting new options. Runs on Windows XP. COMPLETE WITH MANUAL. By Atari 2004. G a m e Disc in Case, withInstruction Booklet. Disc have almost noscratches. Tested and in working condition. What you see in pictures is what you get. PLAYSTATION 2 - Disc is in good condition, with good manual and case good. This is as good as recorded and much cheaper. All faults are clearly described. Our sizing policy is to standardise as much as possible. 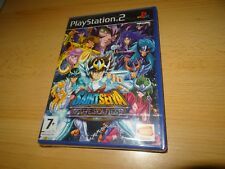 PLAY STATION 2 GAME,DUEL MASTERS LIMITED EDITION. TESTED. DUEL MASTERS LIMITED EDITION. sorry no trading cards included. In great working order and a little wear on the disc. ARTHUR AND THE INVISIBLES game for PlayStation 2 in very good condition, game comes with manuals. NO returns, NO refunds, NO bad feedbacks :) Feel free to ask for more info or some additional pictures. For your own Protection. Whats included in the sale. Q. Is anything else included with the item?. Auctiva's FREE Counter. Q. Is anything else included with the item?. Asterix and Obelix XXL 2: Mission Las Vegum - PlayStation 2. The case is in good condition, a few light scuffs. A few light marks to the disc, nothing serious. Manual included and in very good condition. Sony Catalogue SLES 54960EAN. Official UK Pal Original Release. 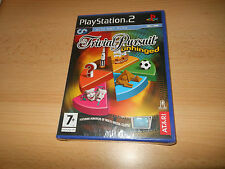 This auction is for a used: Ps2 game Arthur and the invisables Item will be sent the day after payment is received. Please look at my other listing for more great deals. Players are invited play solo or battle against a friend in this challenging new adventure that also allows them to discover the powers of five never-before-seen creatures. I AM A COLLECTOR. Release Date : November 3, 2004. Very Good: An item that has been used but is still in very good condition. Minimal amount of wear may show on the exterior of the item. No skipping or freezing on play. Good: An item that has been used but is in good condition. Platform: Sony PlayStation 2Genre: Arcade. Gaming Consoles (4). Hand Held / TT Gaming Consoles (2). All Photo's Are Of Actual Item For Sale. all Cd's are fully tested. Accessories (2). Add to Favorites. New/sealed Godzilla Unleashed (PAL) for the Sony PlayStation 2. Arthur and the Minimoys. Sony Playstation 2. Sony Playstation 2 Konsolen. Sony Playstation 2 Spiele. Sony Playstation 3. Sony Playstation 3 Konsolen. Sony Playstation 3 Spiele. Sony Playstation 4. Duel Masters. Sony Playstation 1. Sony Playstation 2. Sony Playstation 3. Sony Playstation 4. Sony Playstation Portable. Sony Playstation Vita. Our Service Team is available Mon- Fri from 8:00 am - 2.00 pm. 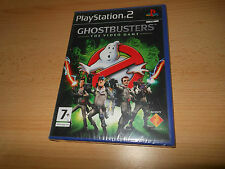 Ghostbusters: The Video Game - Nintendo Wii / Wii U - Free, Fast P&P! Nintendo Wii / Wii U. It is used and c omplete with manual, in good condition. 5 out of 5 stars - Ghostbusters: The Video Game - Nintendo Wii / Wii U - Free, Fast P&P! 1 product rating1 product ratings - Ghostbusters: The Video Game - Nintendo Wii / Wii U - Free, Fast P&P! Arthur and the Invisibles (PS2). Sourced directly from the manufacturer or distributor of the original release. Discs will be largely free of scratches and markings. Are factory sealed and unopened/unused. 0 Multiple Areas Titles can be either NTSC (generally if they originate from the US) or PAL format(EU). 4.5 out of 5 stars - Arthur and the Invisibles (PS2). 3 product ratings3 product ratings - Arthur and the Invisibles (PS2). Godzilla Unleashed - Nintendo Wii / Wii U - PAL - Free, Fast P&P! Godzilla Unleashed. Nintendo Wii / Wii U. It is used and there is no manual included. Disc has light scratches from usage. Used - No Manual. 5 out of 5 stars - Godzilla Unleashed - Nintendo Wii / Wii U - PAL - Free, Fast P&P! 1 product rating1 product ratings - Godzilla Unleashed - Nintendo Wii / Wii U - PAL - Free, Fast P&P! This is for use on Atari ST. F-19 Stealth Fighter. This item is Used as in the photograph. Manufacturers part number .